The Century Building on First near Lyon in downtown Albany. Another building in downtown Albany would get a complete renovation and facelift under a proposal pending before the Central Albany Revitalization Area. On Tuesday afternoon, the CARA advisory board will consider a request by owner Rick Mikesell for a $500,000 loan to support the restoration of the Century Building on First Avenue just east of the Lyon Street Bridge. The estimated overall cost is $1.2 million. Mikesell is proposing to do a complete renovation of the one-story building, including refinishing the brick exterior and making internal improvements to let the structure survive an earthquake. “Our goal is to uncover this historic gem and restore it to its former elegance so it will once again be a vital and contributing building for the historic downown district,” it says in the application to CARA. Under the proposal, which has the backing of city staff, the loan would be repaid at the rate of $25,000 annually over 20 years starting when the renovation is complete. Mikesell previously got CARA help in the restoration of the former J.C. Penney building several blocks west on First. That deal gave him a $200,000 “forgivable loan” — essentially a grant — if he opened a restaurant on the ground floor. He now proposes to convert that arrangement to a straight loan and repay it at $10,000 annually over 20 years, starting immediately, if CARA drops the restaurant requirement. He would still try for a restaurant but be able to rent the space for other uses. The back wall of the Century Building. Until recently, the Century Building included a barbecue restaurant, but that moved away. The plans submitted to CARA say the alley behind the building can be turned into an outdoor eating area. 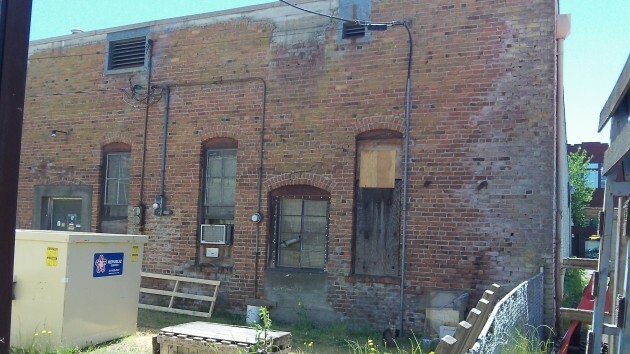 The aplication also says the owner will not apply for a tax freeze available for historic buildings. Property taxes on the site now total $4,295, based on a value of $250,000. With the renovation complete, taxes on the $1.2 million property should total more than $20,000 a year, according to the application. The CARA advisory board meets at 5:15 p.m. Tuesday at City Hall. So the repayments will start when the renovation is complete. And what is the definition of complete and who makes that determination. Wow–the City staff is in favor—must be a good deal? This means CARA is a provider of capital to those who are experiencing financial difficulty, or who are considered highly risky, or who do not have any other means of borrowing. Does Mr. Mikesell’s financial condition qualify him for these public funds? Assuming due diligence is performed, will CARA’s evaluation of Mr. Mikesell’s eligibility for this loan be made public? 2. Mr. Mikesell has requested $500,000 at 0% interest. Evidently this sweetheart deal is one you can only get from government acting in their role as a “lender of last resort.” No commercial bank would do this, would they? 3. CARA’s project evaluation grid requires a “Tax Increment ROI” of less than 5 years. But CARA’s own rough estimate indicates a positive return won’t happen on this project until at least year 14. As an investor in this project, I object. Well CARA bashing swings into high gear again, from the usual suspects Doom and gloom prevail and deepen, especially when your only goal is to prevent progress. Downtown is MUCH better. Albany is more prosperous. People are happy. The sun is shining. The board and council will decide the merits of the project based on sound financial considerations and the worthiness of the improvements in restoring the district. Bob, There seems to some questions about whether this (and other) CARA proposal meet CARA’s own criteria. You seem to be “the man in the know” so get us some answers :-) instead of bashing those who want accountability for our tax dollars and how they are spent. It looks to many that since its adoption, CARA has been somewhat lax in applying its own “standards” in the projects it approves and becomes a part of……..with the odor of cronyism you seem to resent so much. Time for you to put your money where your mouth is here and answer some questions instead of running others down. Tom and Gordon aren’t the only ones that question how CARA operates…..just the most vocal. I find your attitude somewhat “holier than thou” myself. You could do your own credibility a favor here, or not…….up to you. The rules about what can and cannot be funded are laid down very clearly is state law and the parameters under which Albany created the urban renewal district. Those documents went through scrupulous legal review by experts in redevelopment law, and by outside expert bond counsel. Contracts created through the CARA funding process go through legal review and public review. If there are questions or comments they are presented in the public forum and answered. The board and council review these funding against the public criteria and testimony that was openly discussed, reviewed and adopted. Tom and Gordon have NEVER disclosed that they have any licensed legal experience whatsoever. Gordon in particular has attacked CARA since before it was founded and constantly no matter what project was before it. He REPEATEDLY attached the honor and integrity of the people involved. He repeatedly stated that members of city council used CARA to funnel money to campaign donors, without providing one whit of evidence. When called upon to take his accusations to the County Prosecutor he failed to do so. here, without offering any proof, only conjecture. He derides that these would not be funded by a bank, which is the reason why another funding mechanism, Urban Redevelopment Districts, was specifically created.. Remember, the purpose of this redevelopment District was to specifically encourage redevelopment THAT WAS NOT HAPPENING in downtown through normal free market processes. If it had been happening, then there would not have been a need to create CARA in the first place. I’m sure you’ve been around long enough to remember the way things were 10+ years ago. Downtown was a dump. CARA, as part of the city government is audited annually by independent auditors. Those audits are reviewed by the state and any member of the public that wants to, and Albany has been consistently found to be in compliance and has an EXEMPLARY record of financial management and openness. If you don’t believe me, ask Hasso. If there has been wrongdoing, where is the proof? Once again you create a caricature of my position, then you attack your caricature. This is intelllectually dishonest and a pattern of behavior you fall back on whenever valid questions/concerns are raised about the city. Instead of launching a personal attack, why don’t you answer my questions and concerns? And any answer that contains the word “legal” completely misses the point. I am not accusing CARA or Mr. Mikesell of illegality. I am questioning the wisdom of a public body loaning lots of public money interest free to a wealthy developer. Mr. Mikesell has the money to do this project without public subsidy. Your response makes clear your animus towards those that question CARA activity but does nothing more. Again, you fail to answer the questions posed by Mr. Shadle in particular, above. One does NOT have to be a lawyer to ask about decisions being made, or of government in general. You aren’t a lawyer either. You have faith in the CARA decisions. Others among us, clearly do not. It is in fact the DUTY of citizens to keep an eye on government…not the other way around. As a retired member of the public sector, you should know this and accept it as a part of being a public servant, rather than the personal attacks you direct at those that inconvenience you and your thinking. Your opening salvo about the “real world” was condescending and duly noted. See below. As for me….I have no idea (not being an attorney either) if CARA is acting within the bounds of the law or if there is something less than that going on at some level. But all you offer is assurances that everything is “sunshine and buttercups” in CARA land. Not so fast……..
Gordon’s questions above deserve answers. As I read it he is questioning whether CARA is acting within it’s authority and according to the guidelines set by its board. If CARA is a lender of last resort, then why are we subsidizing property owners with the means to risk their own capital? If the ROI is supposed to begin within 5 years, then why is 14 years now okay? These questions are LEGITIMATE and were asked respectfully. Your response was nothing but a rundown of your own complaints about Shadle and Cordier. Feel free to add Carrick to your list. Your “assurances” are worthless to me. One must wonder….if this project is approved…..what kind of businesses will be able to afford the rents that will be required to furnish the owner (Mikesell) with the projected income to pay property taxes 4-5 times what they are now? Is that one reason Mikesell hasn’t been able to attract a restaurant to the JC Penny building? 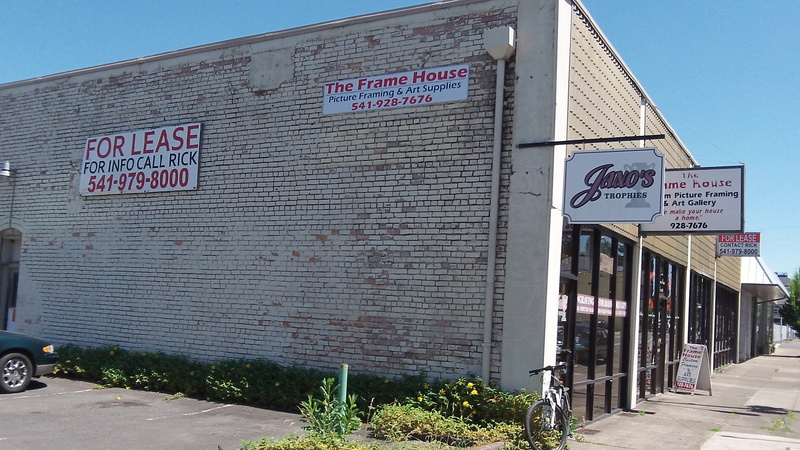 The BBQ restaurant moved, the trophy shop moved, and the frame shop will likely need to move because they won’t be able to pay the rents required (on a per sq/ft basis) unless that business experiences revenues 4-5 times what they make now. Where will all of the “customers park? How’s that for “REAL WORLD?” And where’s the ROI on the lighting project along the river….and the new roundabout landscaping, while we’re at it? I doubt that taxpayers outside the CARA district are very happy about the share of their taxes going to some of these projects….the exact argument many CARA supporters used against CARA funding more of the dollars to construct the new public safety buildings. One last note. I am NOT accusing CARA of wrongdoing. I’ll be clear..I don’t like the concept. However, CARA is in place and will remain so. But when one of it’s board members does consulting work for the very people CARA has funded (he recuses himself I’m told, when the board considers decisions on projects he’s tangled up in), and it appears CARA is bending the rules regarding time to ROI, etc. above…..the air takes on a certain smell…. (and it’s not roses, Bob) and people need answers. I for one, am thankful that there are citizens such as Shadle and Cordier that have the time and interest to insure things are being done as they should be. You, on the other hand have publicaly stated in no uncertain terms you are happy to see one of them leave our community. Is it safe to assume you have the same feelings for any of us that question CARA decisions? I’ll tell you Bob, I’ve been a member of this community essentially all of my 60 years and rarely have I seen arrogance such as that you are displaying by bellyaching about people that question government activity, particularly at the local level, as you are. Part of the deal, Bob….the REAL WORLD. These are legitimate questions and I am sick and tired of those that think we should just “trust the process” as you repeatedly suggest we do. I learned a LONG time ago that government often serves its own interests, and those may well NOT be the same as the public interest. Self preservation and job security often drive decisions made in the name of serving the public, all at taxpayer expense and not to their benefit. THAT’s the real world, Bob. James, Gordon had NO questions. Gordon had accusations, accusations made BEFORE any public meeting, comment, or review by ELECTED officials. If you believe in sentencing before trial, then by all means support Gordon. You folks and Mary Brock make a great team. Suit yourself Bob. There ARE questions being posed here. You have no answers. The “real world” is a tough place, Bob. Mr. Cordier and Mr. Shadle: Thanks for your intelligent insight into CARA’s less-than-competent decisions and their being subject to being taken in by the millionaire (at least a millionaire, maybe a billionaire) Mr. Mikesell.